Our goal is to give you a healthy, straight, beautiful, and confident smile to be proud of! We understand that orthodontic care is a big decision, and we respect your reasons for wanting to improve the way you look and feel. Our practice will work with you to make sure that your orthodontic care is as rewarding as possible. Our practice uses the latest technology, offering a variety of safe and gentle treatment options to give you the individual care you and your family deserve. *We do ask that you print out our Medical History Form and Insurance Form and fill it out before you come to your consultation. This will save you time when you arrive. Our office staff will be glad to answer any questions you may have. Please contact our office to schedule your initial consultation. After your consultation, we will schedule your first appointment where Dr. Thomas will place the orthodontic braces or appliance that suits your treatment plan. This appointment generally takes about an hour, and during this time our staff will be there every step of the way to make sure that you are as comfortable as possible. Visiting our office every four to eight weeks is an important part of your orthodontic treatment. When scheduling appointments, please let us know what days and times work best for you. We are usually available five days a week. We are aware that appointments need to be rescheduled once in awhile. If you’re running late or need to reschedule your appointment, please give us a call so we can give you the next appointment available. 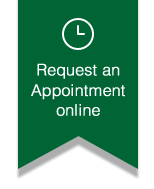 When you’re ready to schedule your first appointment, contact our office and we will be ready to assist you. It is very important that you continue to visit your family dentist once every six months, for dental cleanings and routine dental checkups. If special dental care is needed, Dr. Thomas will coordinate with your family dentist to make sure that you are receiving the best care possible.